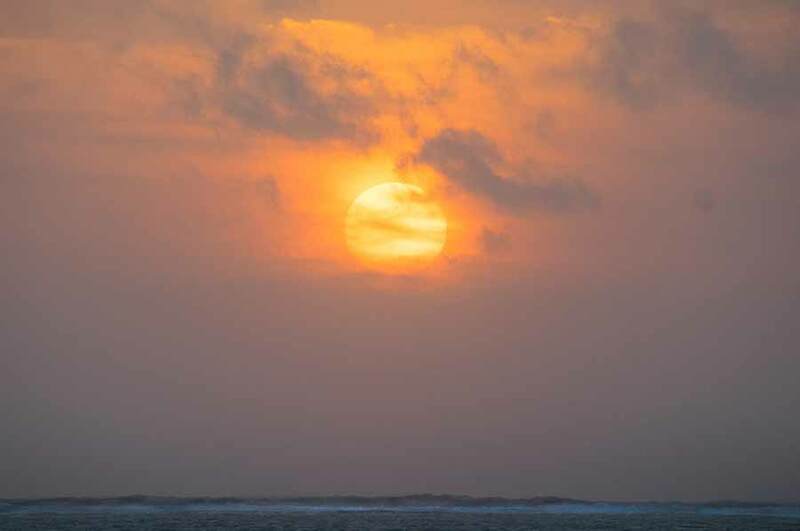 Belize NMS: Mainly fair, warm and dry conditions prevail over the area. Seasonably warm and mostly dry conditions expected for the work week ahead. 24-hour forecast: Mostly sunny today and partly cloudy tonight. Little or no rainfall is expected, except for the chance of an isolated thunderstorm developing inland this afternoon. Today: Winds: E-SE 10-20 kt. With occnl higher gusts. ; seas: Moderate - locally rough; waves: 5-8 ft.; little or no rainfall. Tomorrow: Winds: E-SE 10-20 kt. With occnl higher gusts. ; seas: Moderate - locally rough. ; waves: 4-7 ft.; little or no rainfall. Marine Outlook: Tuesday night: Winds: E-SE 10-20 kt. With occnl higher gusts; seas: Moderate - locally rough. ; waves: 4-7 ft.; little or no rainfall. General Outlook: For Tuesday and Tuesday night is for mainly fair, warm and dry weather to continue. Last edited by Marty; 04/04/17 06:13 AM. On Ambergris Caye this morning we still have the rough sea from a strong SE wind. Our expected high s 90 and it seems like Spring has sprung into Summer temperatures. A strange night, much warmer than usual, and easterly Caribbean wind blowing all night and still this morning. There is thin high level cloud steaming from the SW, as yesterday, causing a little haze to the sunshine. 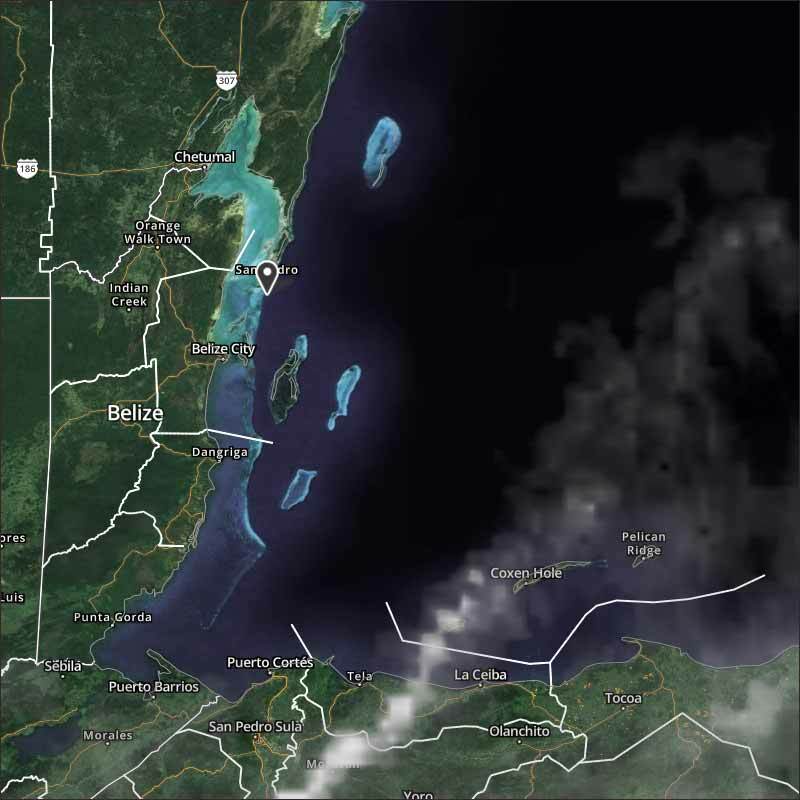 Although some rain in southern Mexico, it never got near to Belize. Sometimes, when heat builds up it ends with rain, perhaps in the next few days, I hope, but don't count on it. 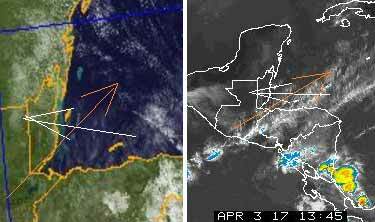 Looks like another hot day, with easterly Caribbean winds and hazy sunshine, few clouds, no rain expected.